The suspension was announced by the chapter’s Chairman, Mr Kola Abiola, after a congress held at the institution’s campus to resolve the crisis between the Ogun State Government and the union. Abiola stated that the congress decided to call off the strike following the pressure put on it by many concerned prominent personalities in the state. “Today, we had an emergency congress and after several appeals by eminent stakeholders within and outside the state, the congress therefore decided to suspend the strike. Abiola explained that the union had never blackmailed anybody during the crisis, saying that on no occasion did MAPOLY ASUP insulted the state government. 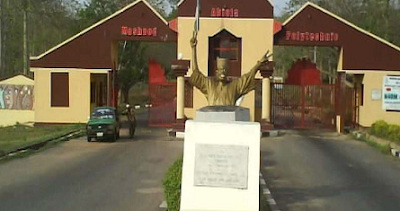 The News Agency of Nigeria (NAN) reports that the union and the state government had been at loggerheads over the institution’s upgrading to Moshood Abiola University of Science and Technology.